Compared to the big surprise in the 2012 WNBA draft of Astan Dabo from the second division in France, the 2013 edition was tame. Diandra Tchatchouang's draft may have been a surprise to the North Americans but her basketball career path has been programmed towards one day playing in the WNBA. Emma Meesseman from Belgium, currently playing for Villeneuve d'Ascq in France, was the only European drafted this year that was expected to be included. She was picked ahead of Tchatchouang in 19th place. 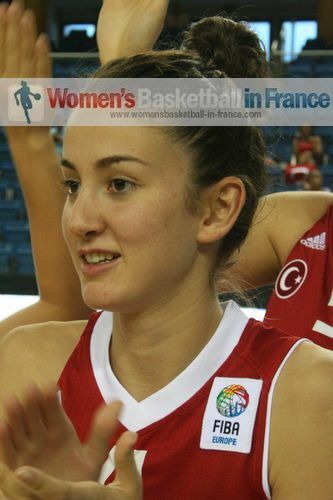 The 2011 FIBA Europe young player of the year has been shining in the Ligue Féminine de Basketball this season (2012-13). Two European players who excelled during the 2012 U20 European Championship for Women Division A were also picked up in the WNBA draft: Alina Iagupova from Ukraine and Olcay Cakir from Turkey. However Iagupova's draft selection has been void due to her age, she turns 21 during the current WNBA season (2013). Diandra Tchatchouang's inclusion in the WNBA draft came as a surprise since she disappeared off the radar screen in 2011 when she left Maryland (NCAA). 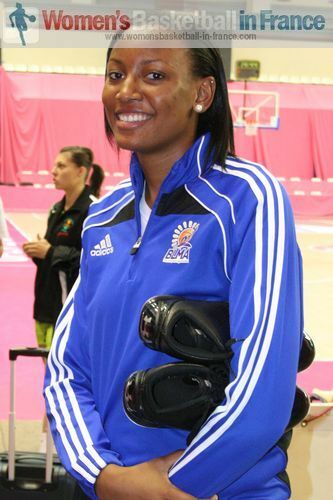 Tchatchouang missed the first part of the 2011-2012 season with Lattes Montpellier while she recovered from her ACL injury. Despite not getting the play-time she wanted she was a member of the French Olympic Games training roster. Despite signing with Montpellier for two years she decided to leave the club and join her former coach from the CFBB François Gomez at Perpignan Basket for the current season (2012-13). She helped the club to a 4th place finish during the regular season while averaging 9.1 points and 4.7 rebounds per match. She was selected in the second round of the draft by San Antonio Silver Stars. However her chances of joining the training camps this summer are slim unless she is released from the French National team preparing for EuroBasket Women.